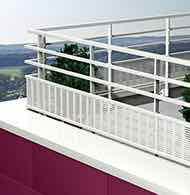 Barrial free-standing premium is a ballasted aluminium guardrailing system for flat rooves which are inaccessible to the public. 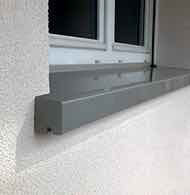 It allows the handrail to be adjusted in parallel to the parapet wall. 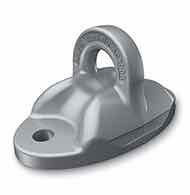 All the system (counterweight included) has a 10 year guarantee. 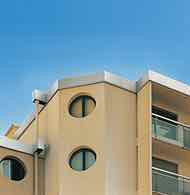 It is a permanent system to protect falling from a height, which meets all statutory constraints. 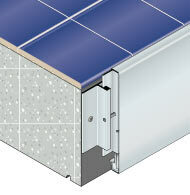 Available in untreated aluminum or in all lacquered RAL color. Barrial free-standing premium is in accordance with current norms NF E 85-015 and NF EN 13374 A class. Barrial free-standing premium is in compliance with the French regulation regarding the collective and permanent safety for the protection from falling from height, according to the decree n°2004-924 from the 1st of september 2004 (Art. R.233-13-20). By its decree of 1 September 2004, French law requires that the prevention of a fall from height is ensured by guardrails (Art. R.233-13-20). 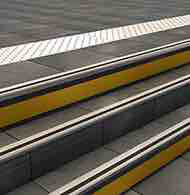 Its applications (DRT 2005/08 of 27 June 2005) retains the NF EN 14122-3 (Safety of Machinery – December 2007) as a basis for checking suitability for use. French standard NF E85-015 of April 2008 replaces the national standard of NF EN 14122-3. 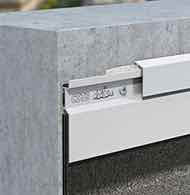 This standard specificies that a guardrail must be instakked as soons as the potential drop height is greater than 500mm. The entire Barrial range is certified to confirm to the NF E85-015. Certificates and test reports are available upon request. 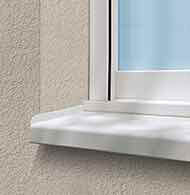 This video shows the system presentation and all the Barrial range possibilities. 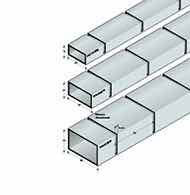 Barrial standard free-standing is made of a handrail, a post (straight, curved or angled), an intermediate rail, a skirting (if necessary), a jointing sleeve, a track and a barrilest counterweight. 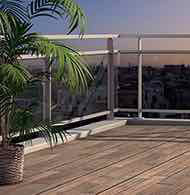 The Barrial free-standing premium guardrail ensures that the handrail is kept horizontal. 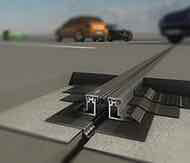 Allows a uniform clearance between heddles in accordance with standards. Posts of variable height, modified depending on the construction site. 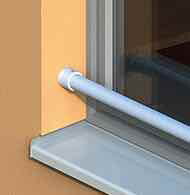 The sleeve allows the handrail's height to be adjusted up to 100 mm, thanks to the setting up in the sleeve. The track can be positioned on both sides of the sleeve for an optimal stability. The ribbed sleeve allows a easy skirting installation. 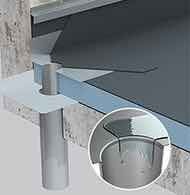 Barrial standard free-standing can be installed with two ballast systems, designed to preserve the waterproofing membrane. Tray made of polymer (Polypropylene-copolymer), able to support a concrete slab of minimum 25kg (not provided), allowing a clean finish. 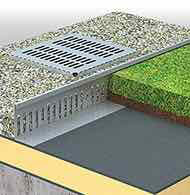 Ideal to create a perimeter marking or japanese path on vegetalised flat roofs. 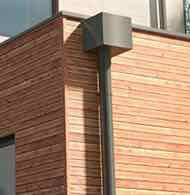 This caters to any specific or architectural requirements. 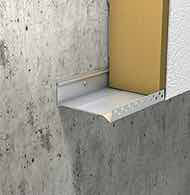 For parapet walls with a height below 100 mm. 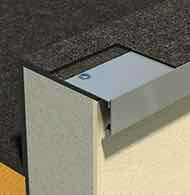 Barrial free-standing premium with skirting when there is no parapet wall. 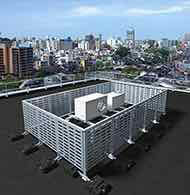 The perfect system for green roof top. 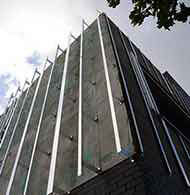 Barrial rooflight railings system is a guardrail system preventing falls through a rooflight. 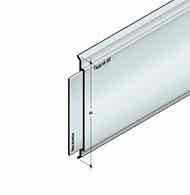 It is adaptable to various types of existing rooflight.